Nov. 27, 2017 6:10 a.m.
Be careful if you’re travelling today. 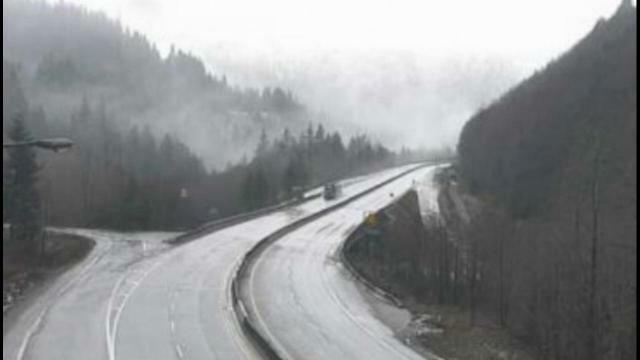 The Coquihalla Highway, from Hope to Merritt, is expected to get hit by more wintry weather. Environment Canada posted a snowfall warning early Monday morning, saying that a total amount of about 15 cm is has already fallen and more is on its way. “Southwest flow behind a front has generated heavy snowfall over Coquihalla highway last night,” reads the warning. ShiftIntoWinter.ca reminds drivers to know before you go. Adjust to winter driving behaviour and use winter tires and chains. Road conditions are available at www.drivebc.ca. Please continue to monitor alerts and forecasts issued by Environment Canada. To report severe weather, send an email to ec.tempetepacifique-pacificstorm.ec@canada.ca or tweet reports using #BCStorm.